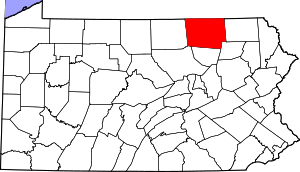 Costco is coming to Limerick Township! The new store will be an anchor in the Gateway at Sanatoga Shopping Center, which is now under construction, next to the Philadelphia Premium Outlets. According to the website, the center will be 412,000 square feet and feature a Costco, 170,000 square feet of in-line retail space, 6 restaurants, 1 cinema, 2 banks and a hotel. When combined with the Philadelphia Premium Outlets there will 1,000,000 square feet of retail space, upon completion, at this location. 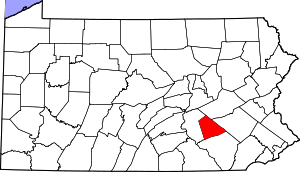 Collegeville Couple Purchase Pottstown Farmers Market – Expect Big Things! A Collegeville couple has purchased the Pottstown Farmer’s Market and will begin by doing some major cleaning and refurbishing. After that task is complete, they hope to attract new local vendors selling fresh grown food. Some old favorites will remain like Wegman’s, King’s Produce and Dairy and Mosteller’s Seafood. The couple is also looking at possibly expanding the market’s hours. They want to be part of Pottstown’s revitalization. We wish Ben Moscia and his wife Elise LeBoutiller much success. Having a flourishing farmer’s market in our downtown will be help draw shoppers to High Street. Scranton Mayor Chris Doherty received a letter from the White House inviting him and his wife to celebrate St. Patrick’s Day with the President and First Lady. Mayor Doherty was surprised by the invitation. V.P. Joe Biden was born in Scranton and Secretary of State Hillary Clinton’s father was born in Scranton, so there is a Scranton connection in Washington, D.C. It should be noted that Scranton’s St. Patrick’s Day parade is reported to be the fourth largest in the United States. 150,000 people pack Scranton for the parade and festivities. The good news is that the parade in Scranton will be on March 12th so Mayor Doherty will still be in town for the celebration. In 2008 Hillary Clinton was Grand Marshall for the parade. Mayor Doherty would like the President or Vice President to come to Scranton and be Grand Marshall of their parade. Congratulations to Mayor Doherty for this high honor. 7-Eleven Stores Pass 40,000 Locations – More Stores Than McDonald’s! 7-Eleven grows at the rate of a new store opening every three and a half hours. Really…is that even necessary? According to 7-Eleven brass, they will add another 2,000 to 2,500 more stores worldwide in 2011. Five hundred of those will be in the U.S. and Canada. 7-Eleven said they have significant room to grow. Amazingly, 7-Eleven only operates in 30 U.S. states. 7-Eleven is a subsidiary of Seven-Eleven Japan. Yes, you read that correctly. The chain started in Dallas, Texas in 1927. 7-Eleven is now looking to buy existing convenience stores and convert them to 7-Eleven’s. They are the Borg of the convenience store world. Resistance is futile. Another head-scratching factoid is that with a gazillion stores, 7-Eleven stores make up only 5% of the total number of convenience stores in our great nation. Again, you read that correctly. Cigarettes are 7-Eleven’s biggest selling item; however, customers can expect to see more hot food and bakery items down the road. The chain also has a large private-label program thereby allowing them, sometimes, to only sell the 7-Eleven brand of a particular product. Less than half of 7-Eleven’s stores sell gasoline, which helps the company open stores faster and in smaller spaces. On the other hand, 80% of U.S. convenience stores sell fuel. Oh thank heaven for 7-Eleven…evidently. Kohl’s will be building a brand new store in downtown Williamsport. The city will once again have a major department downtown. The store will be built at Third and Williams Sts. Construction will begin over the summer and the store is projected to open in October. The City of Williamsport owns the lot and was paid $1.6 million now and will receive another $1 million after the site pad is prepped on March 15th. That will certainly fill the city coffers. Williamsport, like many cities, lost much of their downtown after the Lycoming Mall opened and as strip shopping centers and big box retailers sprung up around the city and suburban areas. I remember shopping at L.L. Stearns & Sons downtown back in the 60’s and 70’s. Stearns was Williamsport’s big downtown department store back in the day. Congratulations to Williamsport city officials for their perseverance. It paid off handsomely. The Community Action Network is a new organization in Lansdale and Thursday was their first meeting. Lansdale is revitalizing their downtown and organizing merchants. The Community Action Network is part of the process. Former Ambler Main Street Manager, Bernadette Dougherty addressed 50 Lansdale business owners and offered some great advice. This advice could be applied to any town in America! Let people know your town is organized and open for business. Stores need to be open for business. Many stores close too early and do not stay open during special events that take place downtown. Business owners need to attend council meetings! Business owners should stand in front of their store and see what the public sees. If it is not exciting to you then it will not be to your current or prospective customers either! The Community Action Network is asking for business owners to commit to one hour a month to make this work! We wish Lansdale much success! Those Crazy Copper Thieves Are Back! Maybe the gang in Fayette County has moved east in their quest for more copper? A Lebanon County cell tower was vandalized and six copper plates valued at $75 each were stolen. The tower is fenced in and thieves cut the lock to gain entrance. The tower is shared by Verizon, T-Mobile, Nextel and AT&T. And we wonder why prices keep going up! The total damage estimate was $3,000! Anyone with information is asked to call the Cornwall police at (717) 274-2071. The Third Annual Bridal Expo will be held at Sunnybrook Ballroom from 1:00 p.m. to 4:00 p.m. this Sunday, February 27th. Admission is a low $3.00 charity donation. Thirty-five vendors will be on hand to showcase the latest and greatest the Pottstown region has to offer for your special day! Come out and see displays of gowns, tuxedos, photography, catering, cakes, flowers, honeymoon spots and accommodations, decorations, music and more. Door prizes will be given out as well! Come on down to Sunnybrook Ballroom for a great afternoon this Sunday! Everybody’s Favorite – Stink Bugs! Here is an interesting article about those pesky stink bugs that entered the USA via Allentown back in 1998. They are worse than ever and evidently have no natural predators, however, they HATE the cold. This article from the York Dispatch talks about the temperature spikes effecting them as well as ways to get rid of them. On December 20, 2010, the Community Land Trust (CLT) gave a presentation before a Pottstown Borough Council and Pottstown School Board joint meeting at the Pottstown Middle School. The presentation included a PowerPoint document called “A Community Land Trust for Pottstown”, which explained what a CLT is and highlighted the many benefits it can bring to a community. Since December, Preservation Pottstown’s leadership has been replaced by the CLT leadership and is pursuing a Community Garden project with the Pottstown School District and Genesis Housing. The CLT received a grant commitment for capacity-building support from National Penn Bank. Preservation Pottstown’s original mission and by-laws dovetail with the CLT’s mission, to increase homeownership stabilize neighborhoods and engage in economic development. The new leadership is committed to the principles of a CLT and will be focusing on organizational issues over the next few months, including making a name change that reflects the specific vision of a land trust. CLT founding members are Dave Garner, David Jackson, Chris Huff and Sue Repko. The CLT is proud to have two members (Chris Huff and Andrew Kefer) serving on the Pottstown Planning Commission. The CLT will be assisted in its capacity-building efforts through the support of National Penn Bank. Following the December 20th presentation, the CLT was contacted by National Penn Bank, which has representation on the boards of the Lehigh Valley and State College CLTs. In addition to offering its expertise based on that experience, National Penn has given the Pottstown CLT a grant commitment so that it can hire a nationally renowned CLT consultant to jump-start the organization. The CLT is extremely grateful for their support. The CLT has been pursuing a Community Garden project for a vacant parcel in the 400 block of Chestnut Street. The Pottstown School District (PSD) owns the property. The CLT will be partnering with PSD and Genesis Housing on the Community Garden project. Genesis Housing’s landscape architect has developed the site plan. Community gardens involve residents in growing their own healthy food, help families cut down on grocery bills, and beautify neighborhoods. This project will also provide community service and educational opportunities for PSD students. The PSD Facilities Committee recommended that Dr. Reed Lindley, Superintendent of Schools, work with the PSD Solicitor to prepare an agreement for PSD School Board approval that transfers 423 Chestnut Street to the CLT for the purpose of developing a Community Garden. The agreement is to stipulate that the property return to the PSD should it no longer be used as a Community Garden. The vote was unanimous. The CLT will be promoting and creating opportunities for arts/culture, green technologies, access to fresh food, healthy lifestyles and sustainability through affordable efficient housing, work spaces, and connections with neighborhood and community. The CLT’s Community Garden Committee is headed by Washington Street Corridor resident Katy Jackson. Other members include: Judy Memberg, Andrew Monastra, Andrew Kefer, Mary-Beth Lydon, Joanne Waddell (president of the Pottstown Garden Club), and Eric Schmidt of Colonial Nurseries. Roy’s Rants fully supports the CLT and the Community Garden project as a way to revitalize the core neighborhood and improve the quality of life for all Pottstown residents. We urge residents, businesses and organizations to get involved with the CLT, the Community Garden project and any future projects as they develop. Pottstown is most fortunate to have an art school and art gallery on our main street. The Gallery School of Pottstown & Gallery on High, located at 254 E. High Street, is a non-profit organization that includes a gallery featuring local/national/international art as well as an art school. The school’s main mission is to provide a solid educational foundation to youth and adults. This school operates regardless of income levels as there are scholarships and tuition assistance available. Classes are small and taught by professional artists to make sure students receive as much personal attention as possible. The Gallery also has an after-school program, special programs during the school year and summer programs. There are two galleries which showcase exhibits. The upstairs gallery features a more permanent exhibit by member artists. The downstairs gallery hosts theme exhibits and member exhibits which change often. Styles and mediums vary. Exhibits are open to the public and free of charge. The Gallery on High’s Community and Education Partners are Creative Health Services, Inc., Pottstown School District and Brookside Montessori. One way Pottstown will go about revitalization is to involve the arts. Establishing and supporting an arts community will make Pottstown a destination that draws visitors from outside the borough into Pottstown to attend events. The spin-off from hosting events is the additional spending that occurs in local bars, restaurants and shops. The Gallery on High compliments the TriPAC Performing Arts Center, the Pottstown Symphony and other existing arts/cultural organizations in Pottstown. The ability to attract and retain artists as residents, by providing assistance programs and housing/studio space, will fuel Pottstown’s efforts to become a destination. We urge you to check out the website and take advantage of this unique downtown Pottstown resource. This is a huge step in the right direction for York! The Central Market will hire a Chief Operations Officer who will be responsible for bringing in new high-quality vendors and more shoppers. A new brewpub (Mudhood Brewing Company) is under construction and could open in April! That will create more nightlife and help attract college students downtown! I just read a very interesting article from the York Daily Record comparing York and Lancaster. I found the article very thought-provoking as a former Lancaster City and suburban Lancaster resident. I also am somewhat familiar with York. Of course, I will share my opinion with you since that IS what I do and offer some advice for York in the process. There is a link at the bottom of this piece where you can read this article for yourself. I must agree with Sonia Huntzinger, the Director of Downtown Inc. in York. A comparison is not really fair. Lancaster and York have some similarities and they are only about 30 miles apart, but that is about where it ends. There are strategies York can use that Lancaster has already perfected and customize them for York, without reinventing the wheel. BUT York must also embrace itself and be true to its own history. The first thing that jumps out at me is that York needs to move on from its past. Race riots in the late 60’s were 40 years ago and our nation and York have changed since then. York was not the only city in America to have race riots and bad ones. Pittsburgh had some humdingers and can anybody remember Watts!?! But again, that is ancient history and holding on to a negative event from the past is unhealthy! Let it go! Secondly, York could be very successful and they are making great strides to that end. Heritage Tourism in a historic city like York must be fully embraced. It certainly worked for Lancaster and it will most certainly work for York. Lancaster has been at this far longer so they are light years ahead of York because of a HUGE head start. More than 4 million people visit Lancaster each year as it is one of Pennsylvania’s largest tourist destinations. York should piggy back on that phenomenon and say to those tourists visiting Lancaster, “Hey! Come on over! York is only a short car ride away!” It would enhance the experience for both 18th century cities. (Lancaster being incorporated in 1742 and York being incorporated in 1787.) If you take away the Amish factor, there are people who would be interested in touring another “period city” that nearby! Thirdly, stop looking at each other as “foes” (White Rose vs. Red Rose) and look at each other as business partners. Frankly, cooperation is a win-win for everybody. That includes Harrisburg. These three metropolitan areas are contiguous and should be marketed as a Triad like Winston-Salem, Greensboro & High Point, NC. Between the Harrisburg, Lancaster and York metropolitan areas (latest population estimates) you have 536,919 HBG + 507,766 LANC + 424,583 YORK = 1,469,268 people! This is a more accurate picture of what you really have to work with and market to. Leveraging all three areas as one tourist destination would totally make sense and everyone would benefit. Combine resources folks! Many hands make light work and all that. From a financial prospective, during a recession, working together makes sense. Combine budgets, cut costs and everyone benefits. Fourth, I will disagree with Sonia Huntzinger on this point (no offense, Sonia). She stated in the article that Central Pennsylvania can not support another arts district like Lancaster’s. With a draw of 1,429,268 people you certainly can. Furthermore, Harrisburg is going great guns in Midtown to set up a big arts community there as well (I guess they didn’t get the memo, haha). Each city should have an individual, size appropriate, arts area. The “arts” are a huge tool in the redevelopment process. Fifth – “Eds and Meds” are vital to redevelopment. I do not care if York Hospital and College are not downtown. They are large employers and stakeholders whether they like it or not. As downtown York prospers, so will they. Scranton and Wilkes-Barre have made their colleges partners in their redevelopment. A healthy York will help York College attract more students and help the hospital attract more young people as employees. You want more young people downtown like Lancaster? You must get the hospital and college onboard. Sixth – the perceived safety issues in York need to be overcome. Sorry but there are stabbings/shootings in Lancaster too. Anybody who says not is delusional. Lancaster has a lower crime rate than York because redevelopment does that. In addition, Lancaster has a surveillance camera system in place and a noticeable police presence downtown. Until York can get those numbers down, they need to beef up police foot patrols in the downtown to make people feel safer. Those surveillance cameras only cost $9,000 a piece, installed. They might be something for York to consider going forward. Saying we have no money is not a solution. Find money to pay for foot patrols and cameras. There are grants out there. You can not afford to not spend money on public safety if you want to be like Lancaster. You must overcome the crime stigma yesterday! Lastly, private sector funding is the wave of the future because of budget constraints with our state and federal governments. There is still money available but finding ways to involve the private sector is becoming increasingly important. Large employers in York County need to be made to understand the importance of “giving back” and that they will reap benefits by doing so. Groups like YorIT will also play an increasing role in moving York forward (http://www.yorit.org/). It is vital that Pennsylvania’s cities be robust and growing. Beetlemania At Sunnybrook Tonight – 8:00 p.m.
Wanna get your inner John, Paul, George and Ringo on tonight? Then Sunnybrook Ballroom is the place you want to be! The show starts at 8:00 p.m. and tickets are $25.00 advance sale or $32.00 at the door. Sunnybrook Ballroom is conveniently located right off High Street on the Pottstown/Lower Pottsgrove border. Downtown Pittsburgh skyscrapers are filling up fast. Occupancy rate in many buildings is in the 90 percent range. This is a drastic change from a few years ago when many buildings had high vacancy rates. Owners were making deals with tenants to keep them. Now landlords are naming their price and tenants are willing to pay the asking rates. Several large buildings have come off the market after investors decided they could not reinvest anywhere else and get a better return than in downtown Pittsburgh. Pittsburgh, New York and San Francisco had the largest increases in average office rents in the fourth quarter of 2010. The Gateway Center Complex (four buildings) was recently taken off the market as well as the 32-story EQT Tower. The owners decided retaining ownership was in their best interest given Pittsburgh’s bullish market. Eleven Stanwix Street has gone from a 50 percent to a 94 percent occupancy rate. The building is now up for sale but the owner is still receiving calls to lease space. The Oliver Building and the Regional Enterprise Tower are also for sale. 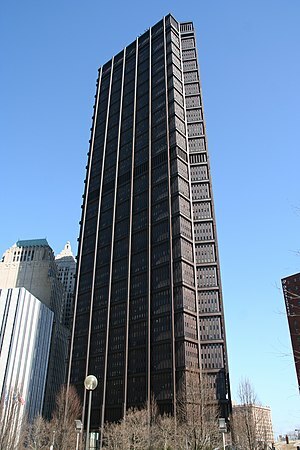 The USX Tower (Pittsburgh’s tallest building at 64-stories) is in the process of being sold and has reached a tentative agreement with the new group of investors. The purchase price is around $250 million according to the Wall Street Journal. As occupancy rates climb and office space becomes scare, tenants are willing to pay higher rates to be in a full building (which is characterized as being in the upper 80 to lower 90 percentage leased category). Could Granite Run Mall Be The Next Entry On DeadMalls.com? Granite Run Mall, just outside of Media, Delaware County is slowly dying. Empty stores and few shoppers is not a good sign of things to come. Simon Property Group Inc. and Macerich Co. are the owners of Granite Run Mall. Granite Run Mall may be up for a short sale or a take over by its lender because of a very late $115 million mortgage payment. Simon appears to have lost interest in dumping more money into the mall. Malls across America are struggling as consumers have turned to strip malls, outlet malls and big box retail complexes. If Granite Run fails, it will be the largest mall to be sold or forfeited to a lender since the current recession started. Granite Run is a two-level, super-regional mall with 1,033,000 square feet of retail space. The three anchor stores are JC Penney, Sears and Boscov’s. Kohl’s is located outside the mall, along the perimeter, to make a fourth large department store at the mall complex. The mall opened in 1974 and was remodeled in 1984 and 1994. Ten Delaware Valley underperforming supermarkets are closing shortly due to competition from Super Walmart stores. The two stores closing closest to Pottstown are the Lionville Superfresh in Chester County and the Saucon Valley Pathmark. 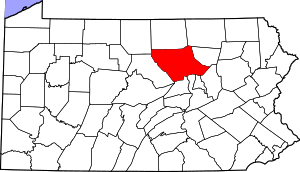 Saucon Valley is an area south of Allentown and Bethlehem. Other stores are mostly in New Jersey with one in Delaware and one in Yardley PA.
Superfresh and Pathmark are union operations and offer better wages and benefits than Walmart. The store closings will put 600 people out of work.